We are a graphic design services studio located in Salt Lake City Utah. 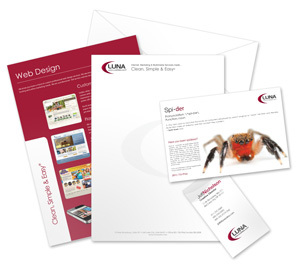 We create professional letterhead, business cards, brochures, fliers, postcards, presentation folders and more. We provide professional graphic design services located in Salt Lake City, Utah. Need a new professional brochure, business card or flier? Let us get to work for you to make your marketing materials more effective. Turn around time is typically 3-5 business days upon approval of submitted artwork. We ship on Wed. and Fri. only. Cut off for artwork submittal is Tuesday and Thursday. Artwork received and approved by any Tuesday will be scheduled to ship on the following Wednesday. Artwork received and approved by any Thursday will be scheduled to ship on the following Friday. We ship from our printer in Atlanta, Georgia to keep our printing rates extremely low and competitive.